Enhanced Endurance and Energy.........Plus Energizing Eleuthero! 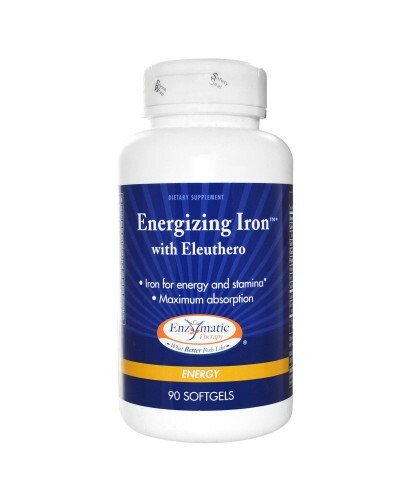 Energizing Iron with Eleuthero dietary supplement is a source of nutrients to support the body's need for iron, vitamin B12, and trace minerals. The addition of the botanical Eleuthero provides an extra boost to invigorate your vitality and energy. Produced from beef liver obtained from animals raised in Argentina, Energizing Iron contains no chemical sprays, pesticides, or antibiotics from livestock feed. Compare! Heme iron is up to 33% more absorbable in the body than non-heme iron. In fact, non-heme forms can have as low as 2% absorbability. Energizing Iron contains the same benefits of heme iron found in liver, with substantially less cholesterol. No uncomfortable gastric side effects as can be experienced when taking non-heme iron supplements. 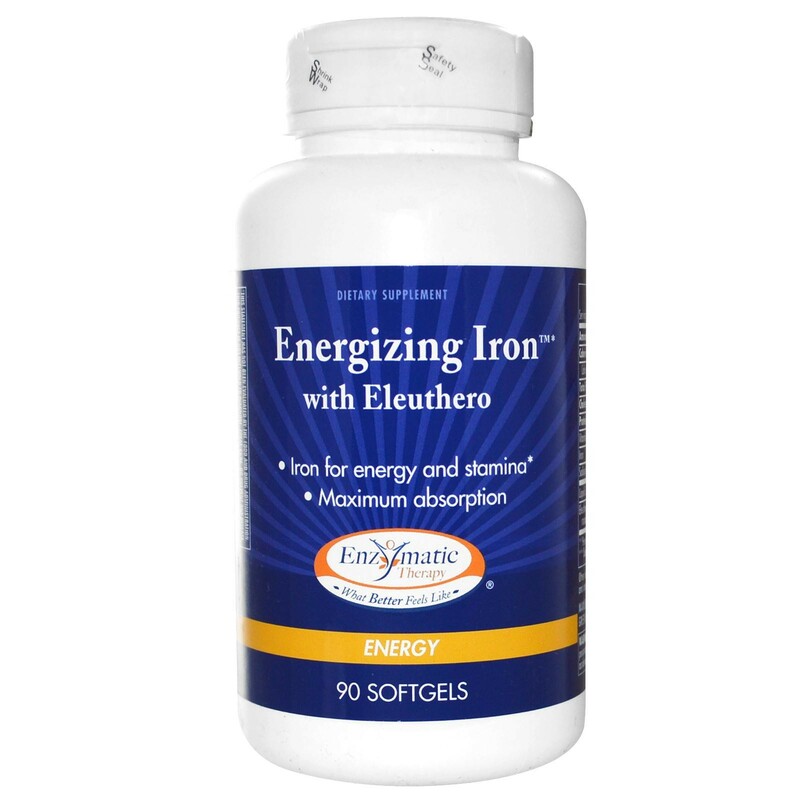 Energizing Iron has the added support of Eleuthero! Recommendations: Two softgels three times daily. Other Ingredients: Soybean oil, gelatin, vegetable glycerin, beeswax, soy lecithin and caramel color. Accidental overdose of iron-containing products is a leading cause of fatal poisoning in children under 6. Keep this product out of the reach of children. In case of accidental overdose, call your physician or a Poison Control Center immediately. If pregnant, nursing, or taking prescription drugs, consult your healthcare practitioner prior to use.